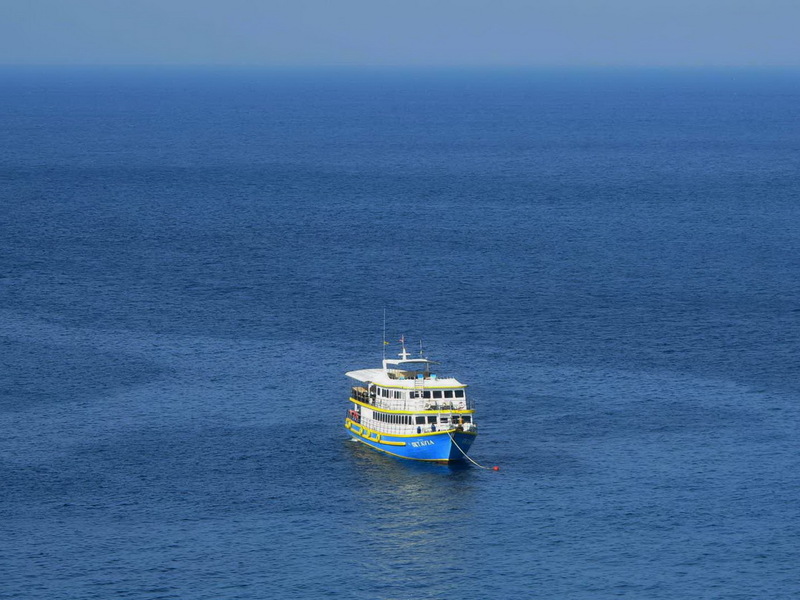 If you are looking for a Similan Islands diving liveaboard, this is the page to go. 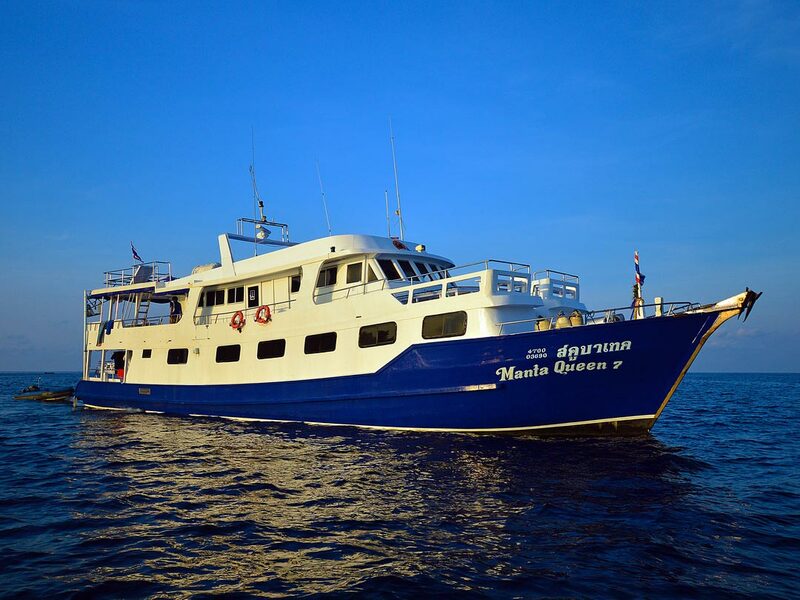 At Similan Dive Center we’re offering liveaboard trips from two days – 1 night to five days – 5 nights. On these dive trips, you can visit the best dive sites at the Andaman Sea: Similan Islands, Koh Bon, Koh Tachai and Richelieu Rock. 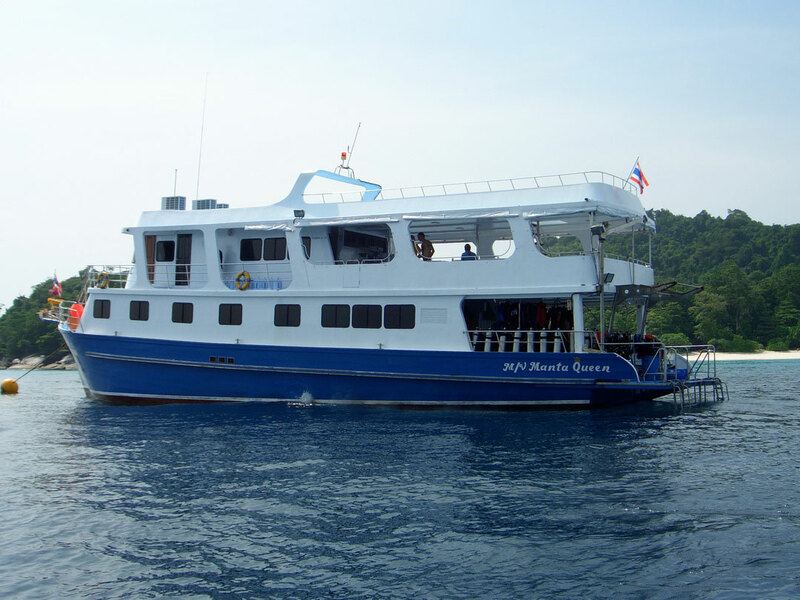 Khao Lak is the closest diving destination to the Similan Islands and all the Similan islands diving liveaboard trips on offer are leaving from the Tablamu harbour, which is only a 25-minute drive away from Khao Lak. Do you want to dive the famous Similan Island but you don’t have enough time for a long Similan Islands diving liveaboard tour? Then we have the perfect solution for you! 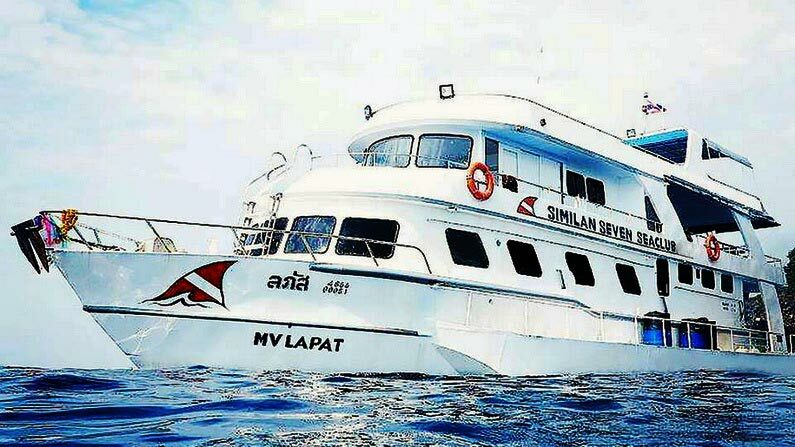 Introducing the short two days – one-night diving trip with MV Lapat. 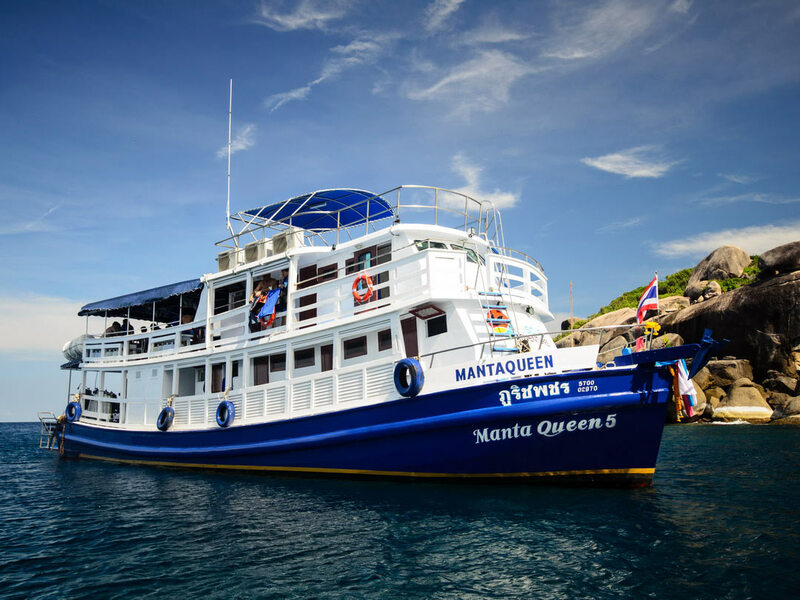 This boat stays the whole diving season out at the Andaman Sea in the National Marine Park and is visiting the Similan Islands, Koh Bon, Koh Tachai and Richelieu Rock, following a weekly schedule. A large and fast speedboat does the transfer to and from the MV Lapat. A little longer is the three days / three nights liveaboards. 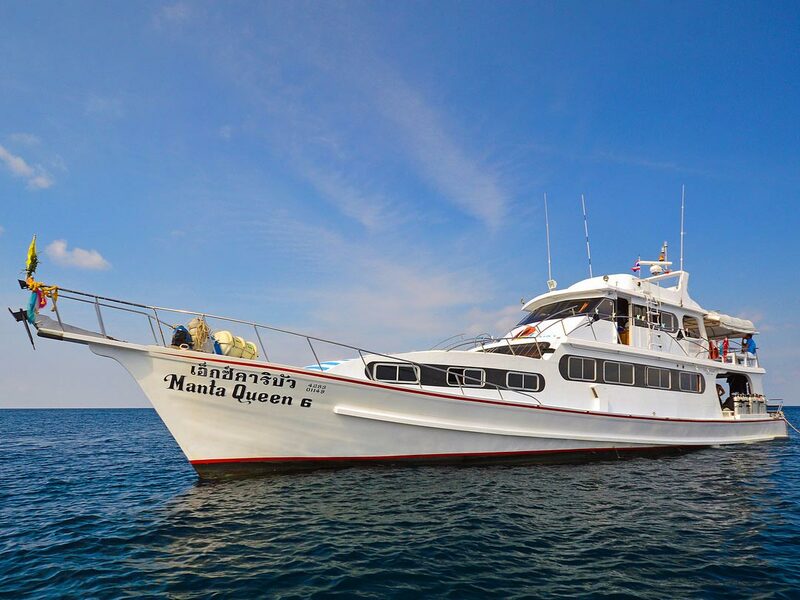 The Manta Queen 2 is cruising three days and three nights the world-class dive sites at Koh Bon, Koh Tachai and Richelieu Rock and enjoying the best Thailand liveaboard diving and the tropical landscape of the beautiful islands. Manta Queen 1 is a comfortable wooden liveaboard boat for 22 guests; Manta Queen 3 is a spacious steel boat for 28 guests; Manta Queen 6 is a cosy yacht style Thailand liveaboard which accommodates 14 guests in 7 comfortable twin bed cabins, each with an en-suite bathroom, and MV Camic is a spacious liveaboard, with 8 cabins, all with own bathroom for 16 guests. 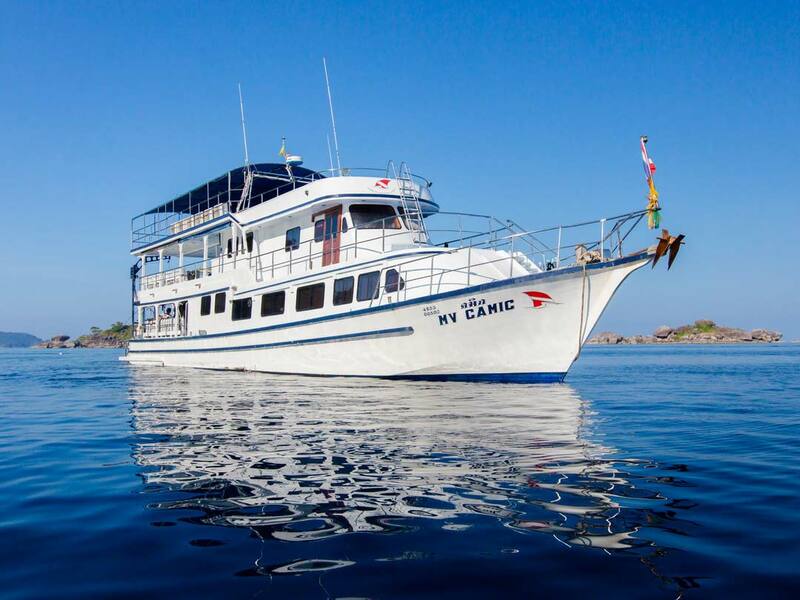 On all of these Similan islands diving liveaboard trips you will get 15 dives at the best dive sites of the Andaman Sea: Similan Islands, Richelieu Rock, Koh Bon, and Koh Tachai, finishing off with a dive at the local Boonsung wreck. Are you ready for a big diving adventure? 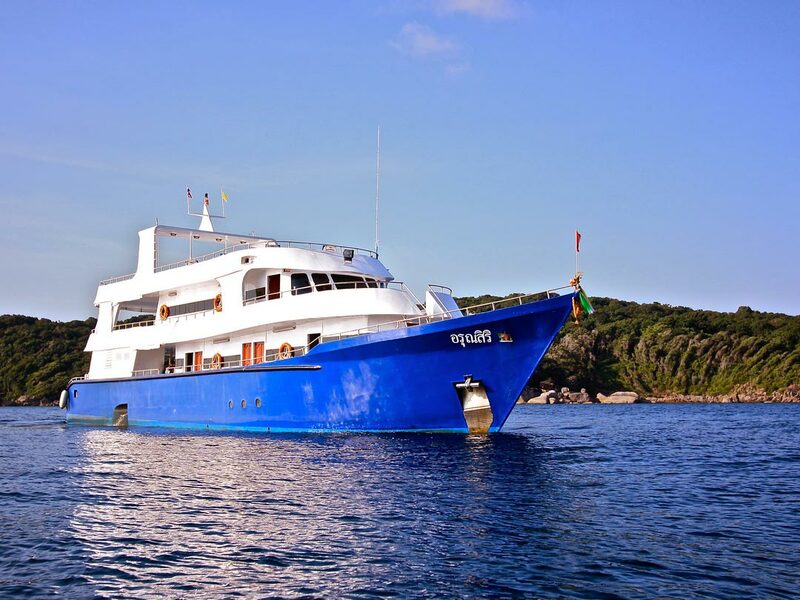 Then check out the five days / five nights Similan diving liveaboard trips where you cruise among the Similan Islands, Koh Bon, Koh Tachai, Richelieu Rock and finish up with the marvellous Boonsung Wreck, doing 19 dives! 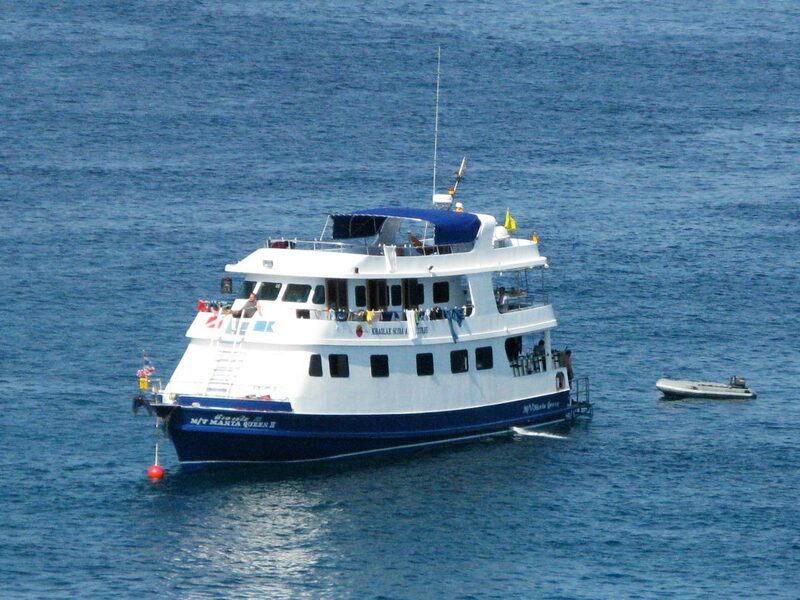 Here we offer two different liveaboard boats: Manta Queen 7, Manta Queen 8, and M/V Oktavia. You can find Similan Dive Center in the centre of Khao Lak. When you book with us, we will meet in person at our shop, and you get all the information you need about diving or other activities around Khao Lak. For all the trips your diving equipment is supplied by us, so you can try it on before you go on board, to make sure that everything fits well. Your liveaboard trip is a cool mix of exciting dive activities, amazing landscapes, delicious food and relaxation on board.